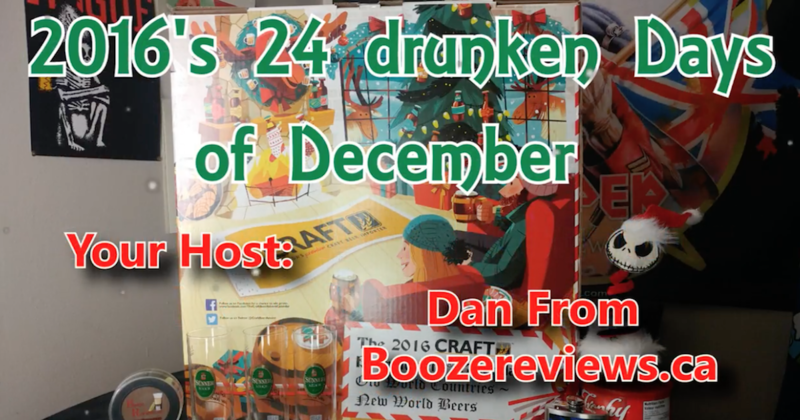 Every December, I go and buy the Craft Beer Advent Calendar, and every year I spend December putting up a review each day right up to Christmas day and sometimes beyond. 2016 was no different, I got the Old World Countries, New World Beers Advent Calendar, and this year, it was a great one to pick up! Not only was it challenging to me, but after previous years of facing complaint after complaint they may have actually almost perfected it! A big congrats goes out to Craft Beer Importers for listening to their clients and trying to make this year’s calendar almost perfect! I have purchased this calendar for four years in a row now and was amazed by it. I am looking forward to getting it next year too! For anyone who missed it, here are my reviews of ALL the beers, plus a little Christmas treat where I do a side by side of the 2015 and 2016’s Winter Dunkel by Whistler Brewing.